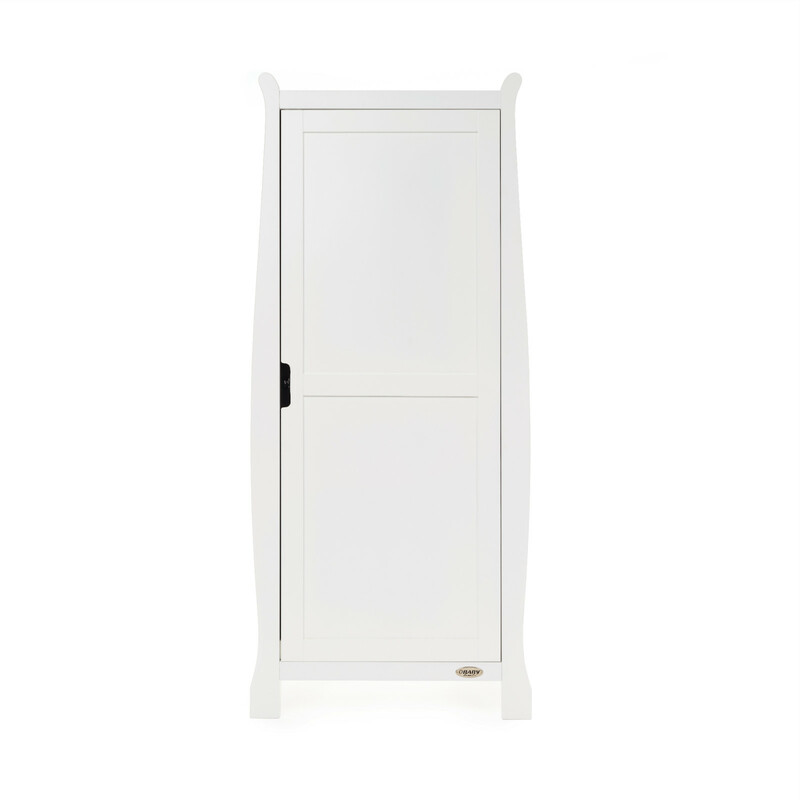 For a chic and elegant addition to your nursery, the Stamford Single Wardrobe from Obaby provides plenty of space-saving storage solutions. In keeping with the Stamford’s curved scroll design, the wardrobe works in perfect harmony with other pieces from the range, but is also beautiful enough in its own right to be used as a stand alone piece of nursery furniture. 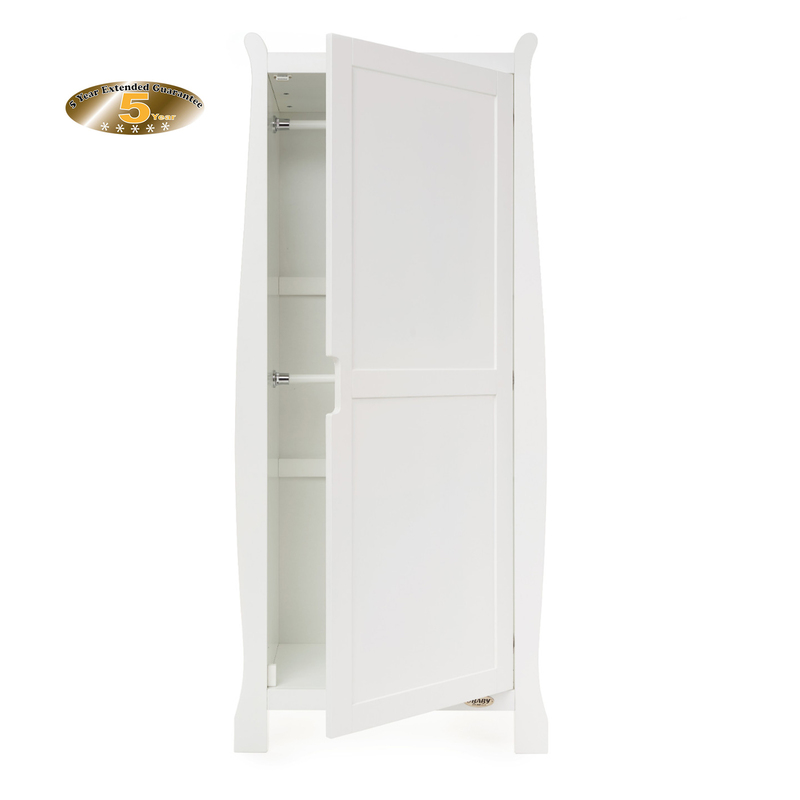 Crafted from solid wood and consisting of one full length cupboard with two hanging rails & soft close door, the Stamford Wardrobe is able to store all of baby’s clothes away in style. The fashionable recessed handles present a streamlined, sophisticated look and ensures that the unit is snag free and easy to use.